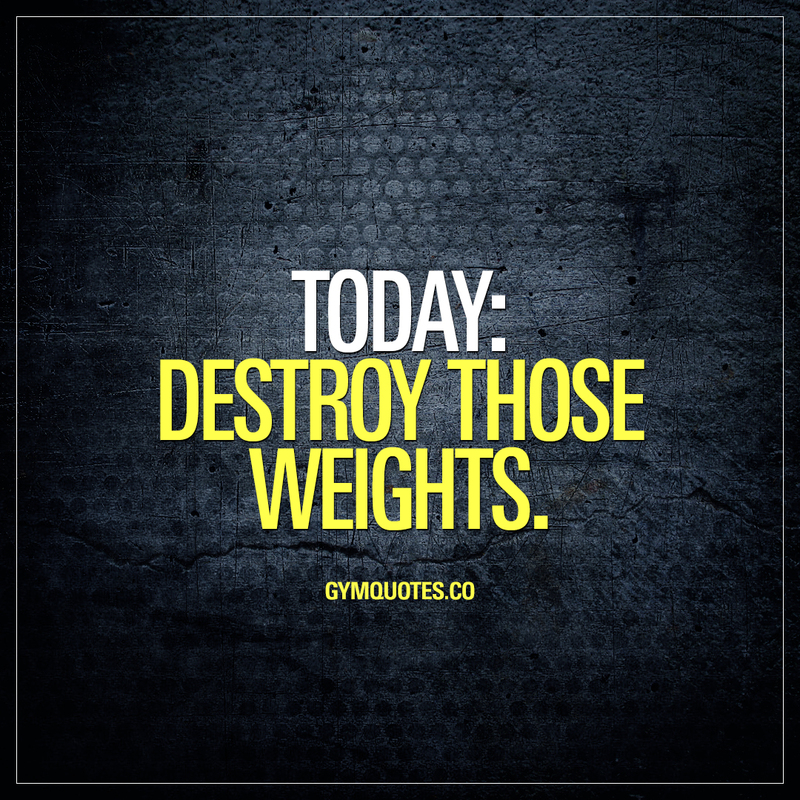 This is the mission for today: to completely DESTROY those weights! If you are going to the gym today, then make sure you engage beast mode and destroy those weights until you’re DONE! Have an awesome workout and if you like this gym quote – share it! This is GymQuotes.co – the worlds largest and most original gym and fitness quotes site online! We create inspirational and motivational workout quotes and sayings and a lot of funny gym quotes and memes for you to enjoy and share! Take some time to go through the site to find that perfect quote for you!